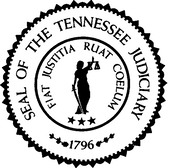 The Board of the Tennessee Supreme Court Historical Society is a working board. All donations and membership dues go directly to the Society's projects. Consequently, the Society does not employ an executive director. So if you have any questions or need to contact us, please feel free to contact one of our officers.